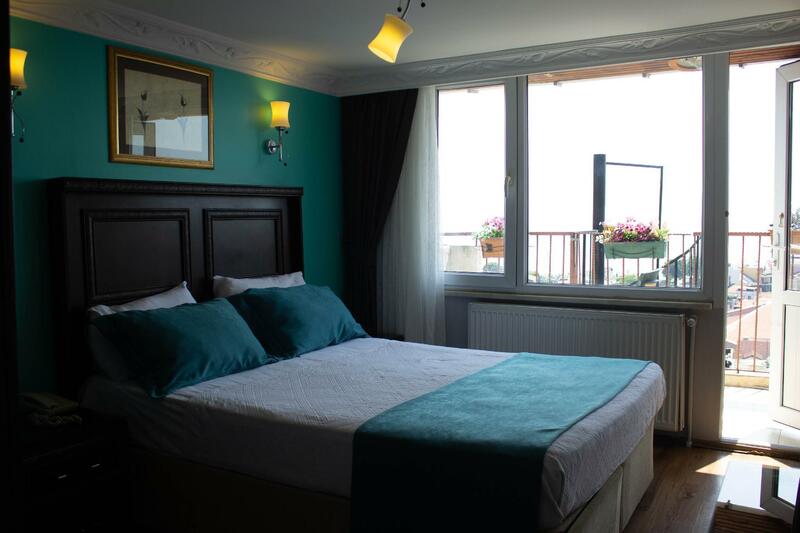 ﻿ Hotel Tulip House Istanbul. JIMAT di Agoda.com! Ada soalan mengenai Hotel Tulip House? Terletak pada kedudukan yang baik di kawasan budaya, minat agama, siar-siar di bandar Istanbul, Hotel Tulip House menyediakan tempat yang paling sesuai untuk anda berehat seketika dari kesibukan hari anda. Hotel ini terletak 0.6 Km dari pusat bandar dan menyediakan akses kepada kemudahan bandar yang penting. Syurga untuk berehat dan bersantai, hotel ini akan menawarkan pembaharuan penuh hanya beberapa langkah dari pelbagai daya tarikan bandar seperti Masjid Sokollu Mehmet Paşa, Mozaist, Nihan Carpet. B&B Hotels terkenal kerana perkhidmatan yang berkualiti dan kakitangan yang ramah, dan Hotel Tulip House ternyata seperti yang dijangkakan. Ketika menginap di hartanah yang indah ini, para tetamu boleh menikmati khidmat bilik 24 jam, Wi-Fi percuma semua bilik, meja depan 24 jam, simpanan bagasi, Wi-Fi di tempat awam. Hotel ini mempunyai 16 bilik yang sangat cantik, setiap bilik dilengkapi televisyen skrin rata, internet wayarles, internet wayarles (percuma), bilik larangan merokok, penyaman udara. Sama ada anda peminat kecergasan atau hanya mencari cara untuk bersantai setelah seharian bekerja, anda akan dilayan oleh kemudahan rekreasi kelas tertinggi seperti taman. Apabila anda mencari penginapan yang selesa dan mudah di Istanbul, ijadikan Hotel Tulip House sebagai rumah anda seperti berada di rumah sebenar. I travelled solo, I requested one bed room for one person, but I was lucky they given me 4 beds room! I didn't take advantage of sleeping all the beds,,, 😉 This hotel Is close to Blue mosque, Topkapi Palace and Aya Sophea. Just walk for 10 minutes . 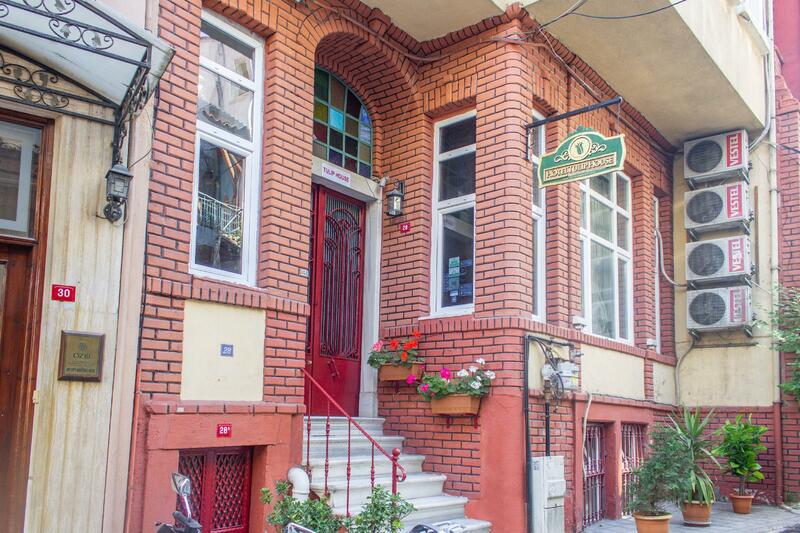 Also close to Sultanahmet tram station too. Just one I didn't like it was in hill side,, if you have rolled luggage it's gonna be pain for you,, 😂 otherwise everything was great... The receptionists were also very helpful and one of the staffs: Culin , very friendly and can speak my language (Malay) :) if ever I want to visit Turkeye again, I definitely will stay there again. Had a really nice time, the hotel and staff were brilliant. 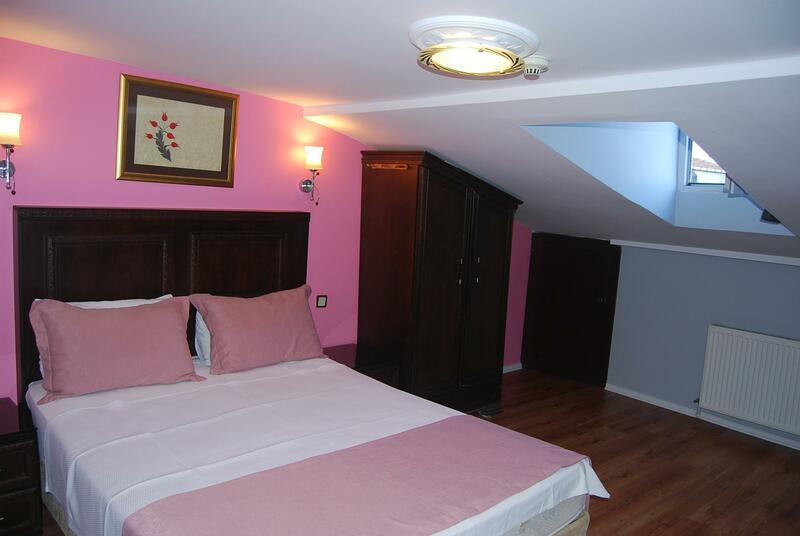 I wouldn't hesitate to recommend the hotel to someone looking for budget accommodation in the heart of the old city. One thing I found was that hotels in Istanbul say they will have your laundry back to you in 24 hours, but this may not be the case. I would advise you not to get anything washed in the last two days of your stay. We were forced to move rooms because a internal error. When we complained our options were to downgrade to the attic room or leave the property. He said he didn't care what we did. Very unprofessional & rude. Our reservation said BREAKFAST INCLUDED but they insisted that we didn't have that luxury. So, when we checked out they said the breakfast was 5 EURO not 5 LIRA that was first communicated. We had to pay 20 EURO! If we are in Turkey, I expect to pay in Turkish currency. Also, the WIFI IS SLOW. Rooms were cold, locks were very cheap and can be accessed with little force. I DO NOT RECOMMEND ANYONE TO STAY AT THIS OVER PRICED HOTEL. At the hotel the receptionist, who spoke English very poorly, said my booked room was given to somebody else/under reconstruction and there weren't another one. How it can be with the proper management? So I was roofless in the city at midnight! Very bad experience. I rated the hotel with 3 score because you can't rate it with less score. Avoid such service! Tha hotel ıs not bıg but convenıetly located close to the beautiful sights like Sultanahmet Mosque and Aya Sofiya museum. 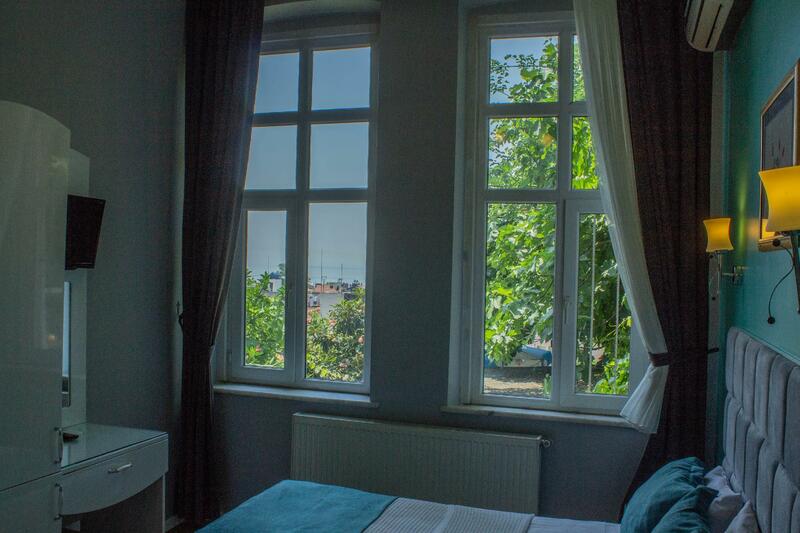 Walking distance to the beautiful Gulhane park. If you don't mind the narrow ancient streets its a nice place to stay. Lots of inexpensive places to eat near by. The food is delicious by the way. I reserved one room with balcony and sea view. After having a very bad experience with another hotel in Laleli area for the same price.The hotel is small , no lobby but it was just painted , clean and renovated. Staff was very friendly. There is not elevator or lift but we didn't mind to take stairs. Overall if you are looking to save some money on hotel this is the one. Thank you. Good hotel, great location. Clean and nice, good price. Hotel is about 10 minutes walk from Cemberlitas station. Better to take a taxi if you have a luggage since it is quite a walk and the road goes downhill then uphill going back to the metro. ROOM- If I had know that the economy room would be in the basement, I wouldn't have booked. But I saw it was okay so I stayed. -TV - I don't know how it works. There were 2 remote controls. I only saw one channel and after that, just a blue screen. I was too lazy to call for assistance so I did not bother to watch tv. -There was a small window in my room ( 102), facing the road. I was not happy that the curtain fell short of covering the whole window. It made me uncomfortable. -Closet had no hanging rod. there are 2 small wooden hook to hang clothes. BATHROOM - for hot water, you turn the sink faucet on the left. But for shower, you turn the knob to the right. -There is no hook to hang the towel in the bathroom. The staff/owner were nice and respectful. A perfect home base in Istanbul. Nice quiet neighborhood but only few minutes walk to Blue Mosque, Ayasophya, Topkspi Palace and tramway. Many rooftop restsurants close by great for dinner. Our balcony room not available first 2of the 4 nights so they gave us airport transfer in private car to the distant airport (2 hours away). Breakfast a real treat on the garden terrace. Wonderful hot egg and potatoe dishes (different choices every day) and many choices of fruit, vegetables, breads, cheeses and pastries. i love our stay @ hotel tulip because their staff and the facility itself was just right with the price they charge. the room the gave us have great sea view, over all its clean. The staff were so accomodating when we arrived, and their breakfast served a fresh squeeze orange juice, as well as a home cooked omellette with different kinds of cheese and breads to choose from. althou the location was quite accessible to everything, but expect long walks to go around sultanhamet from the hotel. We had a fantastic stay at Hotel a Tulip house! 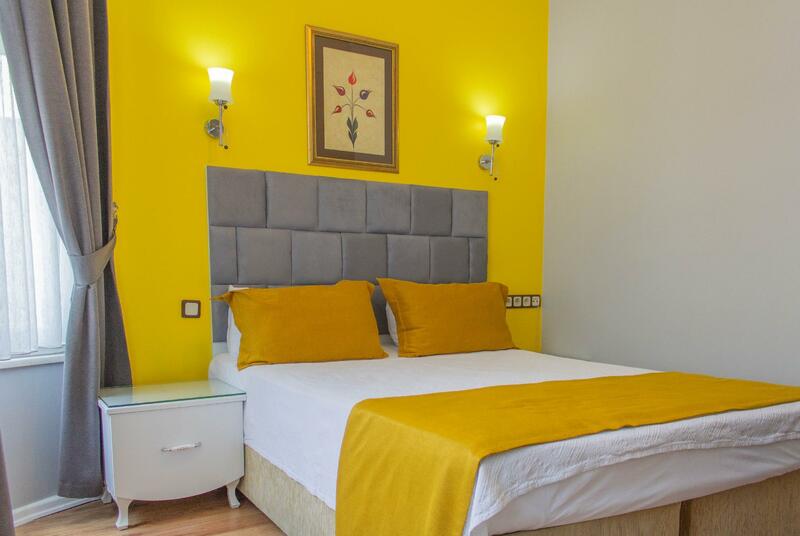 Great value for money, super clean, great breakfast also the staff were some of the best we have ever had full of information and it was raining when we arrived in Istanbul and we were met with umbrellas upon arrival! The staff went out of the way to ensure we had a fantastic stay. Also the location was the best part, everything was well within walking distance of the hotel and all main attractions only a 5min walk at tops! We will be coming back agin next time we visit Turkey! good location, friendly staff and clean room. Me and my wife booked this hotel thru Agoda. The first day when we reaches there we were not able to find the hotel location, and luckiky there is a local good man guided us all the way to the hotel. Really appreciate! We checked in the hotel and Omar the hotel staff explained to us about Istanbul and what are the attractions. He is a very nice and friendly person. And from there we started our vacation. Hotel room is clean at least, the bed should add more pillows. Worth to mention is the breakfast is great. Variety choices and a great garden to eat breakfast. Hope you keep it up and may be can have more extra choices will be even better. Overall the stay in this hotel is good and comfortable. Hotel is quiet and peaceful. And it is not too far to walk to the nearest Cemberlitas tram station. In the day end, Omar booked us the airport transport. i would love to be there again. Great location, quiet area, very comfortable room. I had a great stay at the hotel tulip house. It is a great location, close to all the sights and with easy access to tram to get to anywhere that you want to go. I used the tram to get fom the airport...it was so easy, and cheap. Will definitely use hotel again, and recommend to friends. 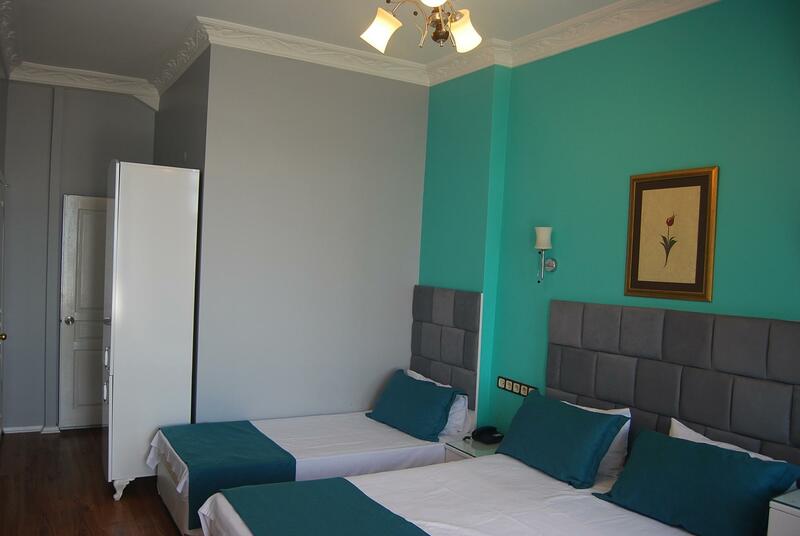 The room was comfortable, and clean, but to be honest as there is so much to do in the city, it was used very little. I came to the hotel they said my room had a problem, they offered me a room in a different hotel (Divas hotel) the receptionist in the other hotel was very rude and gave me a room that’s not convenient for any human being, then after i complained he gave another room and made me feel that he’s given me a room in a Palace!! He was like “take this room and enjoy the Air conditioning”. Next day i was supposed to move back to the first hotel, as promised because the problem should have been solved, they said i will stay at that Diva hotel, I said I dont want to, and that i want a room with the same pictures i saw when I booked, because the room they offered doesnt have a window, and its humid, smells aweful, makes your body itch. They changed my room and gave me a better one (at divas hotel) i was satisfied, but at night I couldnt sleep till 3 am, because other customers were screaming and laughing! I’d never ever go to Divas or Tulip House in Istanbul.. They booked our preboomed room to any other customer & referee is to another hotel where rooms were like Pegion Holes. We kept on dragging our baggage all around the streets of Sultan Mehmat & there was no help from the hotel staff. When we reached back we were almost wet of sweating in such a cold winter, while they denied to provide us a room & returned our money. We finally traced another hotel & tulip haven’t helped us to find the alternate option. Staff was quite young & inexperience, totally unaware, how to handle the situation. The hotel is OK for a single night stay for a few hours only. The location is walkable from pretty much the entire historical places and the railway station. All was fine. Make sure u do ur research before coming as i was almost lost. But the staff was great. Balcony overlooking sea, friendly, efficient staff. Lots of climbing though. We will always stay here. Excellent.